1. The cartoonist uses: d) exaggeration to make his point. 2. 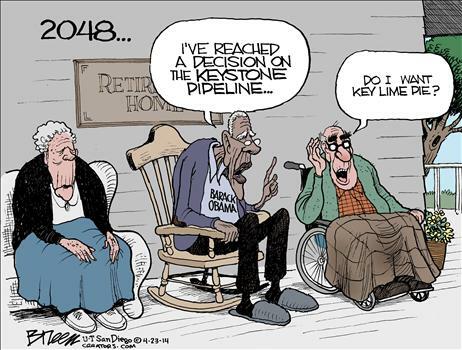 The cartoonist is exaggerating the amount of time President Obama is taking to make a decision on whether to allow the Keystone pipeline to be built (because he announced yet another delay this week in okaying the pipeline).